One thing that stands out in this already-staggering fire season is the repeated accounts of bizarre fire behavior that seem to defy conventional wisdom. Now, scientists are looking for new clues to that behavior. It turns out that the smoke plume from a wildfire tells its own complex story that contains some of those clues, and in California, there's a new breed of “smoke chaser” looking to decode them. 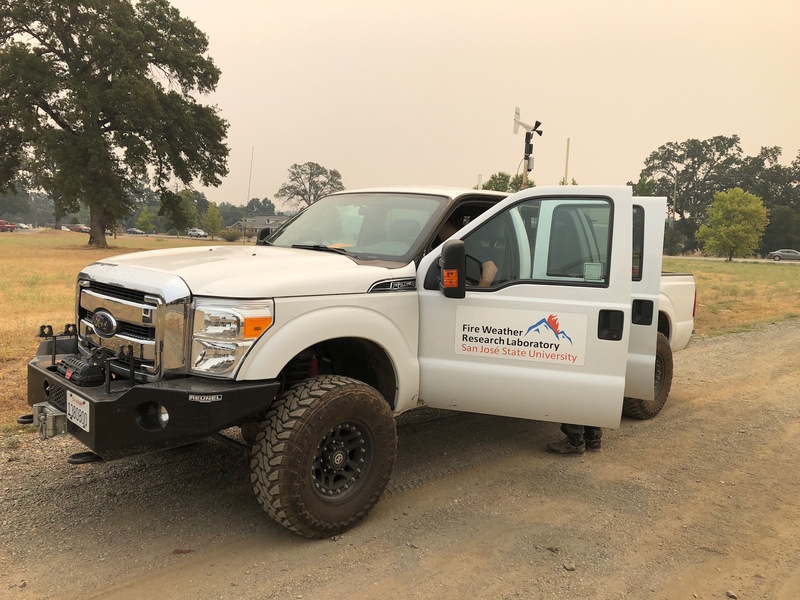 When I arrive at the Carr Fire's incident command post in Anderson, just south of Redding, Craig Clements had just come out of a briefing with the incident meteorologist. Every big fire has one. "They’re having issues with the smoke and they want to know how deep it is," explains Clements. "We’re gonna map the smoke layer." Clements runs the Fire Weather Research Lab at San Jose State State University -- and he’s taken it on the road. The lab’s mobile unit is a white, heavy-duty pickup, outfitted with a cluster of weather instruments and a LIDAR unit. LIDAR is kind of like radar, but instead of using radio waves, shoots a beam of light skyward, in this case to make a vertical map of the smoke column. "We can track the smoke," says Clements, "but we can also measure the wind circulation patterns in the smoke plume." 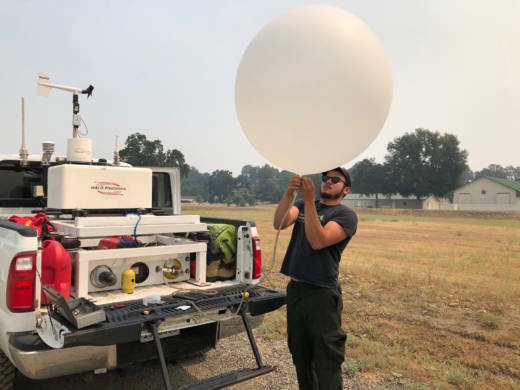 Meteorology student Jackson Yip pulls the rig off of Highway 299 onto an open field, about 5 miles from the fire line, and gets to work inflating a small weather balloon -- about four feet across. It carries a transmitter the size of an eyeglass case, called a radiosonde, that will send data back to the truck. He lets it go and it shoots into the air. "That’s a good sight. Come on, keep goin’, keep goin’!," urges Clements. It will keep going, sampling and transmitting data back once every second, until it reaches 40,000 feet or more above the earth. The fire lab crew will transmit their data to the meteorologist on duty at the command post, where it can help form a better picture of conditions aloft. Launch sites for weather balloons are "few and far between," according to Clements, so the team's ability to launch on site was a boon to the "i-met," the incident meteorologist who asked them to do so. "Wow--look at that," Clements exclaims, as the information starts to form a picture. The first thing they notice is a strong inversion: a layer of air about 9,000 feet up that’s warmer than the air below. "The air’s really, really warm above," he observes. 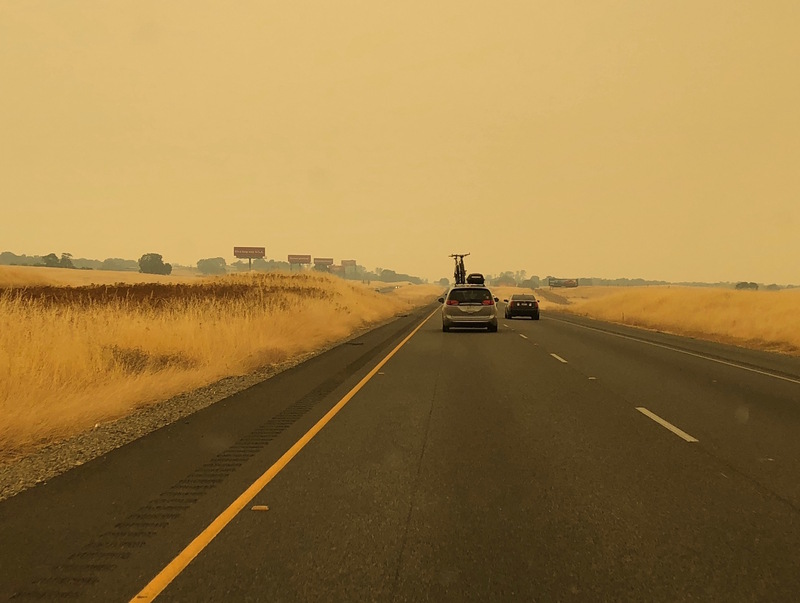 That warm air acts as a lid on the lower atmosphere, which helps explain why the entire Sacramento Valley seems to be enshrouded in a yellow, smokey haze. But what the team is really looking for, are signs that the fire’s behavior might be changing. "If you have a very convective day, let’s say, in the atmosphere, where a lot of vertical motion is occurring," Clements explains, "that can impact the fire behavior." One thing they can spot is something called a “velocity couplet,” where winds above the fire are moving in opposite directions, just meters apart. That indicates rotation, and the possible formation of fire “tornadoes,” like the one that added to the devastation near Redding. They’re not seeing that on this day -- but as the information comes in, it reveals something else that’s potentially dangerous. 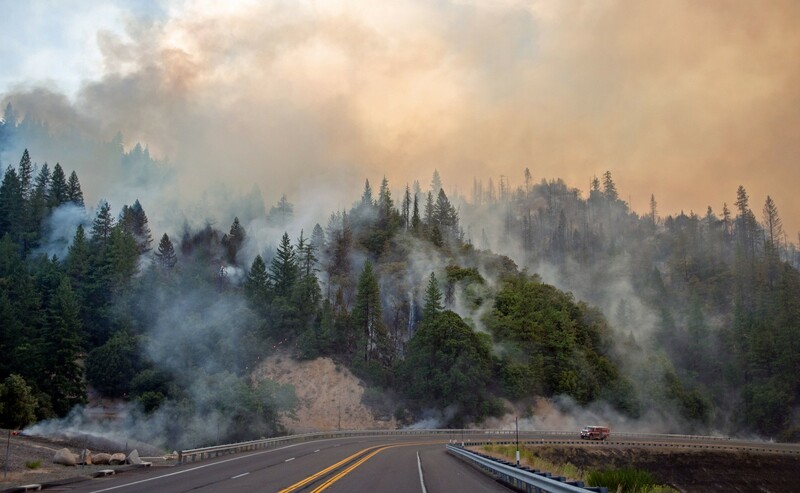 "The air is really, really dry aloft," notes Clements, "so if that really dry air mixes down to the surface, it could really impact fire behavior, because it’ll dry out the fuels." For now, it’s something to keep an eye on -- no need to sound an alarm. "As air descends, it’ll only warm more and get drier," explains grad student Matthew Brewer. "If the sun’s able to warm the surface, and you start to get surface mixing, and we get convection, and get these big circulations going, and that could bring down some of the dry air; as air comes up, air has to come back down." Currently, San Jose State has the only mobile fire weather lab in the nation, and the immediate goal is research. But Clements hopes they can make the case for units like this to become a staple of wildfire management -- especially when current fires seem to be breaking all the conventional rules of fire behavior. "There are general rules of thumb," Clements says, "but it doesn’t always happen. And so the more observations we can get on a wildfire in terms of meteorology, fire behavior, and fuels conditions, the better for predicting the fire." But maybe the bottom line of why they're out here was best expressed by the undergrad student in the crew, 23-year-old Jackson Yip. "Well, the papers that will be coming out of these observations and the knowledge we gain from it will ultimately save property and save lives," he says. This fall, the lab is adding a Ka-band mobile Doppler radar unit to its arsenal. Clements says that will give them unprecedented range and power to demystify the forces inside a fire's smoke plume.